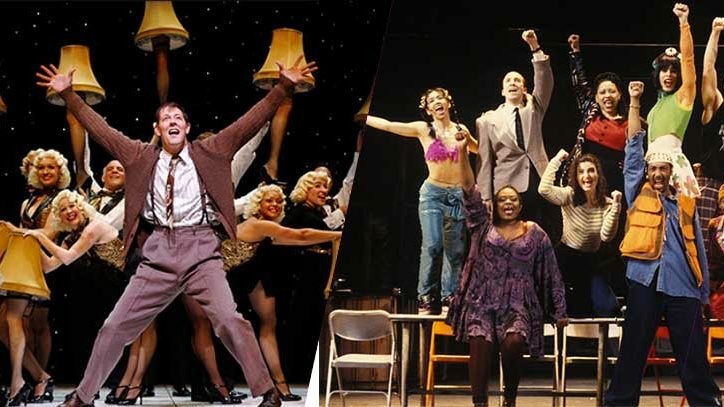 Are you interested in owning a piece of a Broadway show? 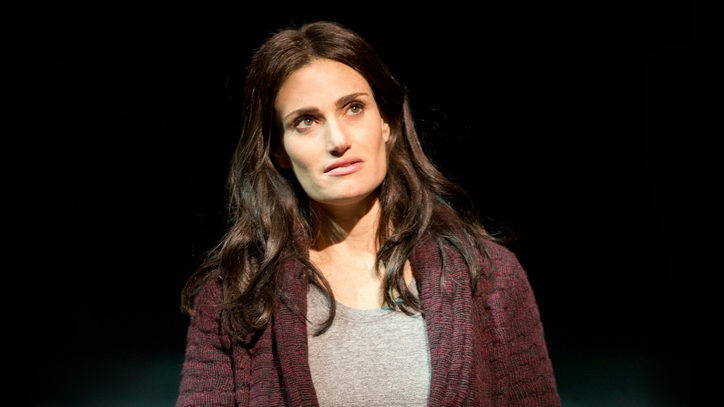 We’re not talking about investing; we mean a real piece of a Broadway show. If so, go to www.broadwaydesignexchange.com where a treasure trove awaits. You can purchase Christine Jones’s set model for American Idiot or a set sketch by Raoul Pene Du Bois for the Ethel Merman vehicle Call Me Madam. Maybe you’d like to own Zack Brown’s costume sketch for Al Pacino, as Herod, in Salome, or a drawing by Alvin Colt for one of Liza Minnelli’s television specials. Much, much more is available, including sheet music from The Ziegfeld Follies of 1922 and its 1923 successor; a topiary depicting a bird from the Pulitzer Prize–winning Bengal Tiger at the Baghdad Zoo; a framed original painting by Boris Aronson, the genius who designed sets for the original productions of Company, Follies, and Pacific Overtures; and a limited-edition print of an original sketch by actor-playwright Charles Busch. “It’s an idea I’ve had for years in one form or another,” Louizos says. “So many designers create so much stuff in the process of working on a show, but a lot of it ends up not making it on stage and we’re reluctant to throw it away. And not every museum will want every designer’s work.” This way, she adds, designers can find good homes for their past work and make a little money in the process. Louizos also feels strongly that there is an untapped market for these items. “I know that many people appreciate this stuff and, until now, they haven’t had access to it. It’s the perfect marriage of people in the audience and people backstage. And, hopefully, it will also create a greater awareness of what it takes to put on a show.” Buyers include “people who were involved in a particular show or those who loved a show and want a piece of it. Or perhaps a friend loves a certain show; this would make a very special gift.” Given the intense interest of some show fans, is there evidence of repeat business? “There are definitely those people,” she confirms. Recently sold items on the website include Paloma Young’s costume sketches from Peter and the Starcatcher and a prototype for Princeton, one of the lead puppet characters in Avenue Q. The Broadway Design Exchange also takes customer requests. Currently, Louizos has fans looking for Carol Channing and Neil Simon memorabilia, as well as any items from the musicals Seesaw and Stop the World, I Want to Get Off. In a way, Broadway Design Exchange is Louizos’s way of giving back. To be a working Broadway designer, she says, “you’re in such a small club that you feel so special.” Now she can share that excitement with a much wider audience. Watercolor and gouache costume sketch for Thoroughly Modern Millie by Robert Perdziola. 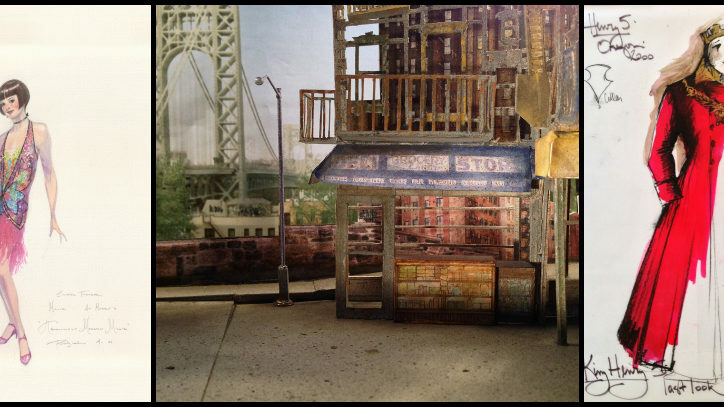 1/4″ Off-Broadway model of In the Heights by Anna Louizos.